Design and construction supported by Arts @ MSP. 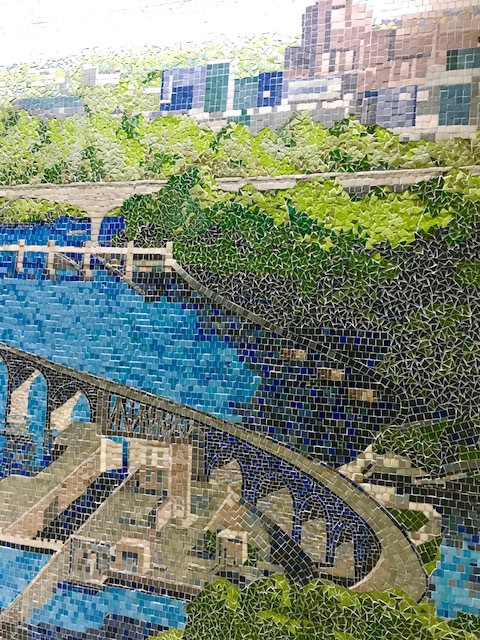 The newly commissioned mosaics by exceptional local and regional tile artists add a sense of place for Minnesota visitors. They're also a popular feature of MSP Airport's multi-million dollar 'reimagining', which supports the Minnesota arts community and boosts the states' economy. Winner of the 2016 Cintas 'America's Best Restroom' Award.